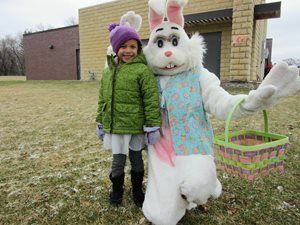 The Easter Bunny will visit while you hunt for eggs at the Annual Easter Egg Hunt at Community Park. This free event is hosted by the City and the Vadnais Heights Lions Club; however, non-perishable food items will be collected for the Vadnais Heights Community Food Program. Visit our Special Events page for hunt start times (based on age group) and more information.